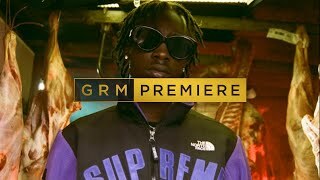 North West London based collective 9th Street have been popping up very consistently over the past year or so and show no signs of slowing down as member Pumpz steps up to deliver a very cold debut Behind Barz session. 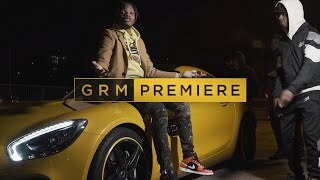 Better known for their UK Drill efforts, 9th Street have been steadily building a name for themselves this year, consistently dropping off countless music videos in recent months and making their presence felt both online and offline. Pumpz has been one of the more prominent members in the crew even before the name change and he and some choice members of the music collective have even started releasing solo efforts here and there for good measure. Pumpz’s Behind Barz sees the rapper tap into his wordplay bag as he offers up some creative punchlines consisting of seemingly very deliberate football references that help us work out how he sees himself and his team in the streets. Also mixing a football references with a clever Mist reference in a repeated 8 bar throughout the session. If you’re feeling the brand new Behind Barz from 9th Street’s Pumpz make sure you let us know your thoughts via the comment section and on social media.